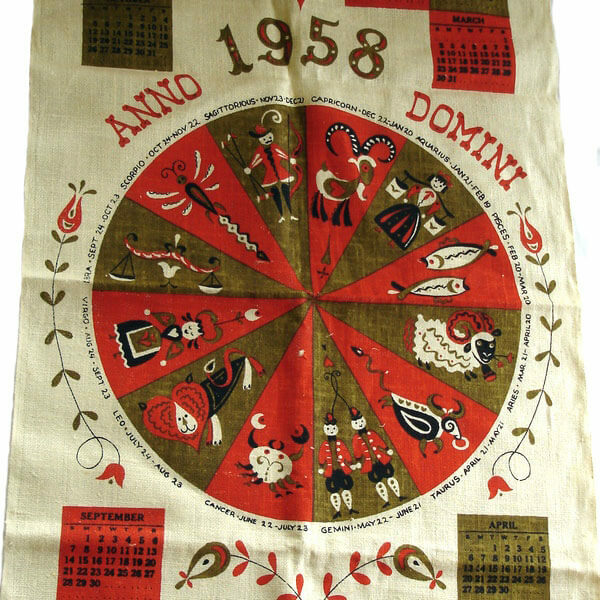 Super Cool Pennsylvania Dutch Linen Calendar from 1958. Doesn’t look like it was ever used as a towel but might have hung on the wall as there is a rod pocket at the top. 17-1/2″ wide by 31″ in length. Yeah, that’s an astrology wheel. 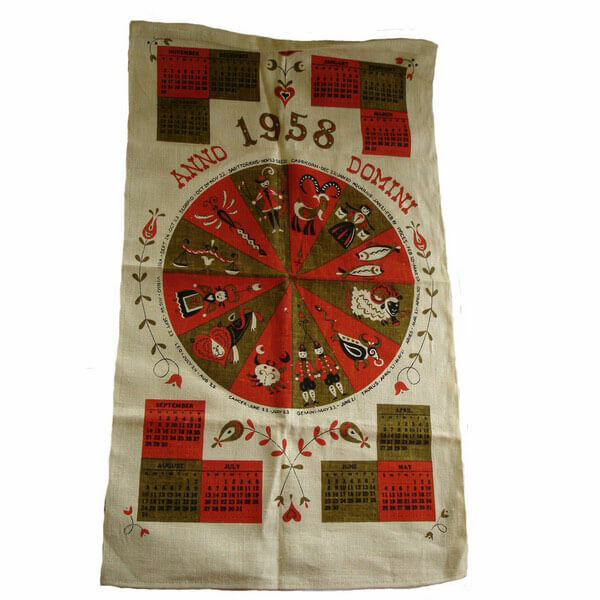 Super Cool Pennsylvania Dutch Linen Calendar from 1958. Doesn’t look like it was ever used as a towel but might have hung on the wall as there is a rod pocket at the top. 17-1/2″ wide by 31″ in length. 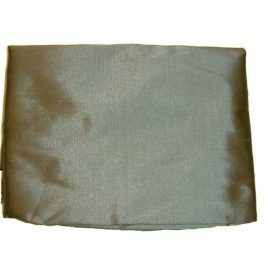 Green Dupioni Silk Fabric - 3 yards x 54" wide. 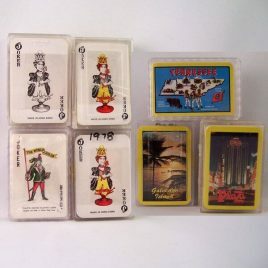 These vintage miniature playing cards were probably made as novelties or for kids to play with but I thought they would be cool in mixed media collage. Lot of 6 decks, 4 of them new and 2 used but complete. If I remember correctly this was an early attempt to simulate tortoise shell using the wonder that is known as acrylic. Slap a gold letter on and you're good to go! 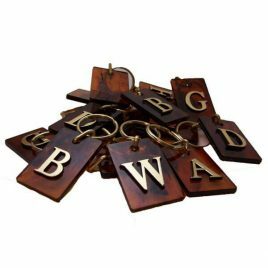 They are 1-1/2" x 2-1/4" and there is a narrow variety of letters. 16 key chains in all. Read the description for more details.